Industrial plants often use inhibitor systems as an economical solution for prevention or control of corrosion. 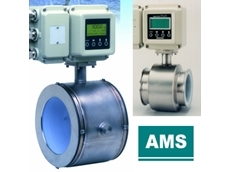 Available from AMS Instrumentation and Calibration , McCrometer’s flow meters offer an ideal flow measurement solution for municipal water/waste treatment and industrial process water applications. The ISO certification confirms that the FPI Mag flow meter, the Ultra Mag flow meter and MX Ultra Mag flow meter are manufactured consistently based on predetermined requirements compliant with international standards and regulations. 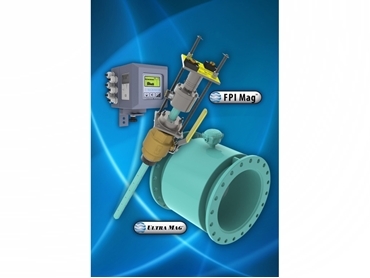 A hot tap full profile insertion flow meter, the FPI Mag can be installed without service interruption making it ideal for retrofits, upgrades and maintenance projects. The hot tap installation significantly reduces installation time by eliminating the need to de-water lines or cut pipe, resulting in up to 45% cost savings for customers. The new M-Series converter provides excellent accuracy to ±0.5% of reading. The M-Series converter, now standard with all McCrometer mag meters offers many new features including built-in dual 4-20 mA outputs for communication flexibility, additional programmable outputs to support SCADA systems and a simplified menu structure for ease of use. 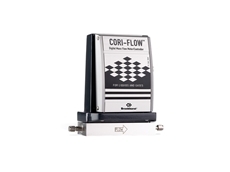 Available for forward-flow only or bi-directional measurement in line sizes from 4 to 138 inches, the flow sensor comes pre-calibrated from McCrometer’s NIST traceable Calibration Lab and requires no recalibration in the field. 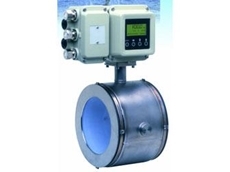 The advanced Ultra Mag flow meters are non-invasive, with a no-moving parts electromagnetic sensing instrument designed for inline installation. 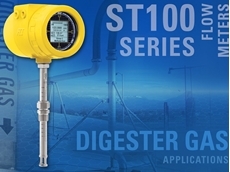 The Ultra Mag delivers exceptional flow measurement accuracy of ±0.5% with repeatability of 0.05% of actual flow for highly reliable operation. Designed for 2 to 48 inch lines, the Ultra Mag measures flow from 0.2 to 32 fps at pressures of up to 300 psi. Pressure ratings are determined by the selected pipe size and model. Manufactured from 316 stainless steel, the rugged Ultra Mag's electrodes are self-cleaning for long service and virtually no maintenance. 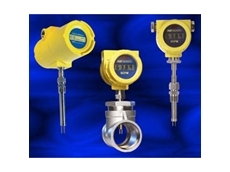 These flow meters feature McCrometer’s exclusive fusion bonded UltraLiner, which does not delaminate, separate or collapse. Operating in high temperatures up to 170°F, the Ultra Mag is available with optional end connections such as ANSI, DIN, JIS, smooth and grooved end flanges and can be ordered with custom lay lengths reducing installation costs. 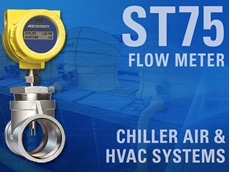 Each flow meter is individually calibrated in McCrometer’s world-class NIST traceable calibration facilities.